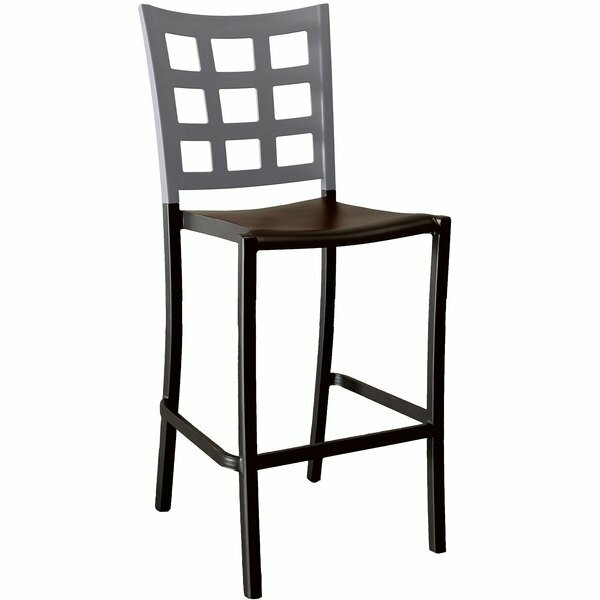 Add contemporary flair to your dining establishment with this Grosfillex US640579 / US046579 Plazza charcoal barstool! Featuring a high, contoured backrest and a convenient footrest, this barstool helps reduce pressure on guests' legs and back to ensure maximum comfort and support. Its attractive, titanium gray window back design combines with a charcoal seat, adding distinct visual appeal to any setting.